In 2017, the Coastal Zone Conversion Permit Act (Conversion Permit Act) was signed into law, amending Delaware's landmark Coastal Zone Act. The amendments established a new "Conversion permit," distinct from the Act's Coastal Zone permit, that allows for the "conversion" of a heavy industry use within the Coastal Zone into an alternative heavy industry use, an additional heavy industry use, or a bulk product transfer facility, subject to certain permitting requirements. 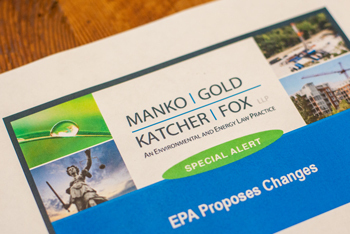 The Conversion Permit Act sets October 1, 2019 as the deadline for when Delaware's Department of Natural Resources and Environmental Control (DNREC) must promulgate revised regulations consistent with the new amendments. DNREC is currently in the process of revising its existing regulations governing Delaware's Coastal Zone to incorporate conversion permits, although DNREC has represented that only those sections of the regulations pertinent to conversion permits will be amended. As part of this process, DNREC Secretary Shawn Garvin established a Regulatory Advisory Committee to provide them guidance and feedback on the development of new Coastal Zone regulations. It is estimated that the Regulatory Advisory Committee will issue its final recommendations to DNREC this spring. DNREC will then promulgate initial proposed regulations, which will be subject to a written public comment period. The proposed regulations will also have to be approved by the Coastal Zone Industrial Control Board after a hearing. The revised regulations will be an issue for any stakeholder in Delaware's Coastal Zone to monitor in 2019.